Are you a member of The Village Hive? 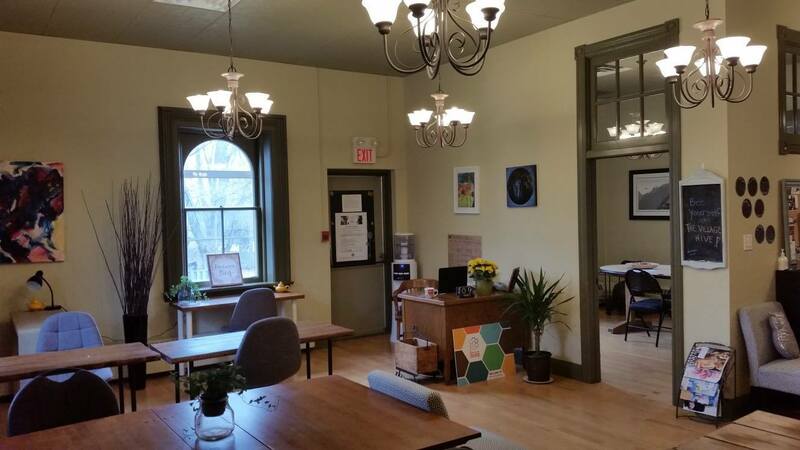 "Lovely, warm atmosphere and great coworking energy "
The Village Hive is in a beautiful and charming century building just steps from Main St. Markham (Starbucks, Second Cup, restaurants, shops). The atmosphere inside is sunny and warm and positive. The owner, Charlotte Kirby, is a dynamic and personable business woman. She clearly cares very much about her community and the entrepreneurs who are members. There is also always something happening - a networking lunch, an evening yoga class, weekend workshops - there is something for everyone at The Village Hive. I highly recommend this corworking space to anyone who is looking for a part-time or full-time office, or a place to facilitate meetings. "Wonderful coworking place in a beautiful neighborhood "
I’m currently teaching a Kids Empowerment program at the Hive and I just love the place! The moment you come in, there’s a welcoming ambience and a cozy feeling. The common area and also the private rooms have a really nice atmosphere, perfect for workshops, networking gatherings, and meetings. The historical building is one of a kind and the neighborhood so peaceful and just has a positive vibe to it, which is hard to describe in words. You have to come and see it in person to get what I’m saying. I highly recommend you checking out for yourself if you’re looking for a coworking place because you’ll be very impressed! 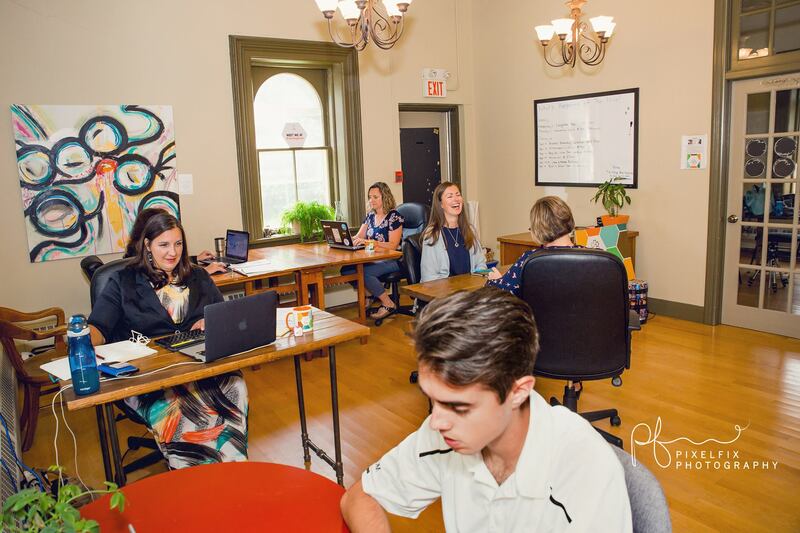 "York Region's Best Co-working space"
I love being a member of The Village Hive. It has everything I need when I need to get out of my home office. The working space is comfortable and there is always space available. 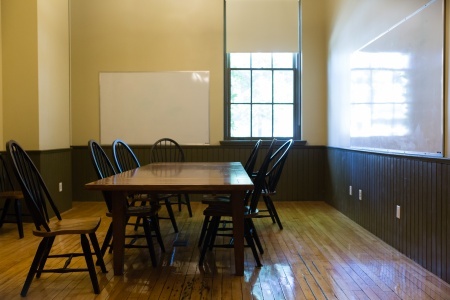 The environment is beautiful - a century schoolhouse that retains all of it's original charm. I am excited about the expansion next week to add a new space with a more social focus. One space for quiet, productive work; one space for networking and chatting with other entrepreneurs. There are numerous membership options from a couple of days a month right up to full-time co-working. "Warm, welcoming and inspiring "
The Village Hive is an awesome space filled with great local entrepreneurs! The owner, Charlotte Kirby, has managed to create a warm, welcoming but still professional environment to work in. Whether you are using a private office, sharing space with other business people, attending a seminar or workshop or networking at their "Bring Your Lunch" events on Thursdays you are guaranteed to meet like-minded individuals who are interested in you and often will inspire you. The business people in Markham are, generally, excited by local success stories and are so happy to share their knowledge and experience while being genuinely interested in yours. 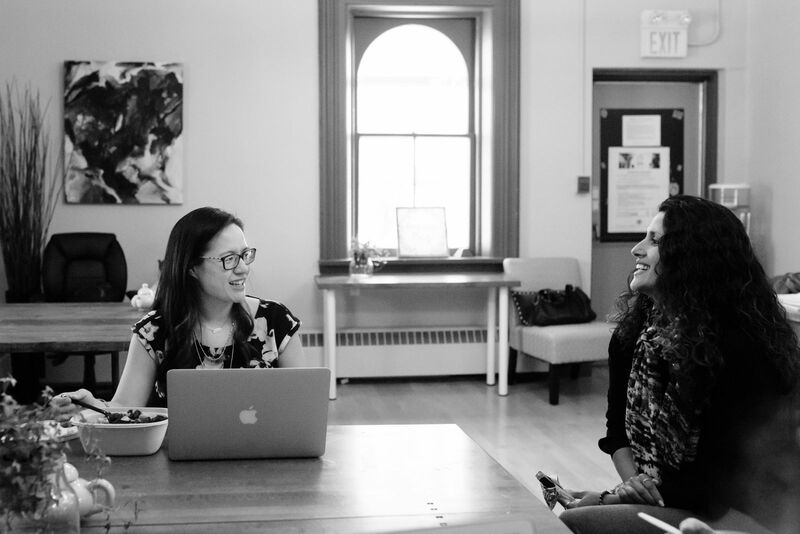 The Village Hive provides an opportunity to cowork, communicate and collaborate with these great professionals. 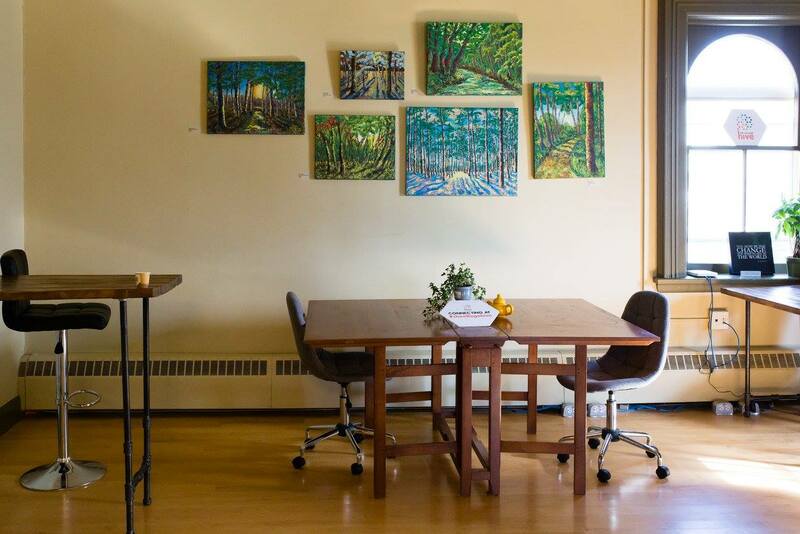 The Village Hive is a warm, welcoming coworking space and community. The weekly networking lunches with healthy, yummy food brought in are a highlight. Different speakers/educators come in to present during the lunches which is a bonus! The members are interesting, friendly, supportive and diverse. Charlotte, the Hive's Queen Bee, is a wonderful connector and is always working to make the Hive the best coworking community it can be. There is always something going on at the Village Hive from workshops to work sprints - and all in a beautiful physical space. I'm so grateful to be a part of it! "A Community of Great People Working together." 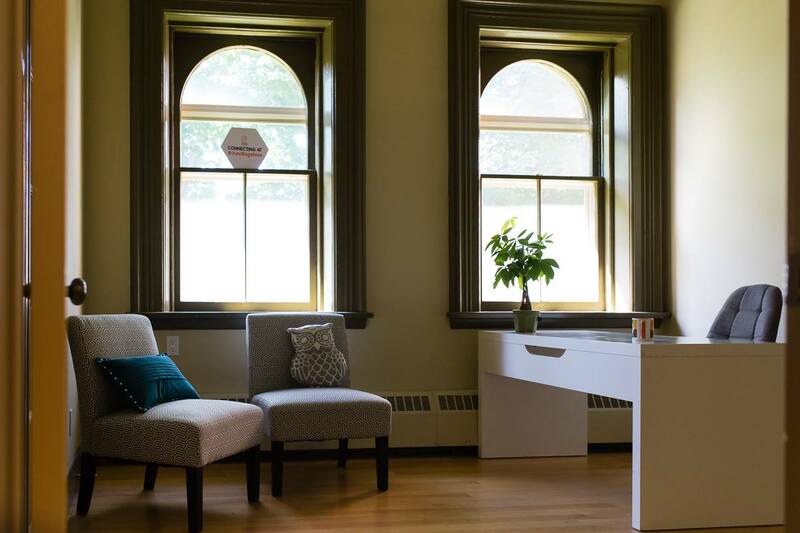 The Village Hive is more than just a co-working space. It is a community with a great atmosphere for entrepreneurs, home-based business owners or other professionals to do their work, network, share their story and interact with like-minded individuals. 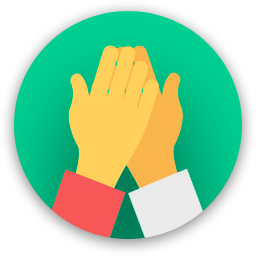 Everyone a part of the village hive is very friendly and open-minded about helping others succeed. It is a beautiful place with an ideal location as it very close to Markham Main St.
Falafel sandwich at Mother's Deli - to die for! Lots of great shops and restaurants a block away on Main Street Markham. Very close to Main St. Markham and all it has to offer while being nestled in Markham's Village in an old school house. The Village Hive will be in touch with you soon to confirm. 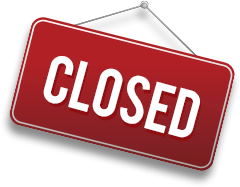 The Village Hive has received your membership enquiry and will be in touch with you soon.